Spurs travel to Leicester on Saturday for a Premier League clash with the foxes but is Spurs' focus on Tuesday's trip to Barcelona? Tottenham Hotspur travel to Leicester City on Saturday as they look to keep their place in the Premier League top four. The last time these two sides met was on the last day of the 2017/18 season in a nine-goal thriller. 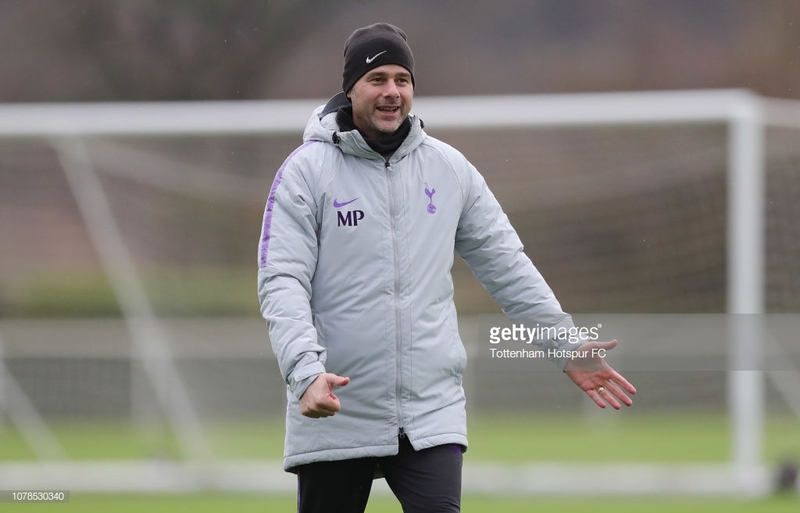 However, Mauricio Pochettino's side have numerous new injuries ahead of the tie and with a trip to Barcelona on Tuesday he has a lot to consider. Ahead of the Leicester tie, Jan Vertonghen will return to the side after serving his one-match ban. "I think it is only to not take a risk about him (Juan Foyth) and then for sure Saturday he is out. Tuesday he cannot play because he is out of the list and then I am sure he is going to be ready for the next game. "After he (Kieran Trippier) came off on Wednesday I think first of all we need to try… We are creating a plan for him to try to help him improve. If we apply common sense, it’s difficult for tomorrow to play when you come off," the 46-year-old added. "Erik, I think tomorrow or after tomorrow will again be with the group training and may be available for Tuesday to be selected. One thing we need to understand with Lamela is that he suffered a massive problem, remember it was more than one year out." "I think Leicester are a very good team. After the tragedy, it is such a difficult thing to recover from. "We are so painful and so sorry for everyone there. But they have a great manager, great players," he said. Spurs narrowly edged a 5-4 win at Wembley last season against the Foxes after coming from behind on three occasions. "I think they have a very good squad. It is a team that plays so well with clear ideas. Of course, they are doing a fantastic job. It is not easy. For me, it is going to be a tough game." Spurs travel to Barcelona after the Leicester tie in a last chance bid to save their Champions League campaign as they have to at least match Inter Milan's result against PSV. "No, I think the focus for us is to try to win the three points against Leicester. That is the most important game. It doesn’t exist, Barcelona. "We’re going to maybe rotate some players because they need rest, not because we’re going to play against Barcelona on Tuesday," he said.